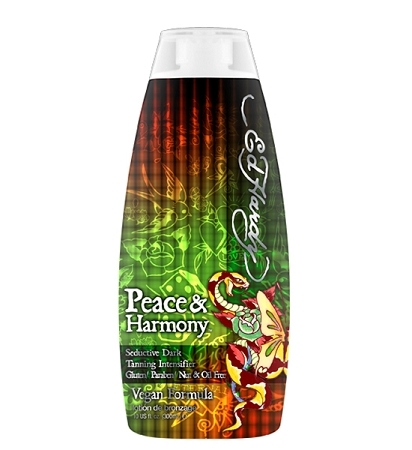 Peace and Harmony™ Call a truce with your skin and allow flawless dark color and perfectly complected skin to finally come together in peace and harmony. This dark tanning blend is Gluten, Oil, Paraben and Nut Free and is formulated for all skin types. Cotton & Rice Extract are added to soothe, soften and hydrate the skin without irritation. While caffeine, green tea and wheat extract will tighten, tone and energize the skin for a more revitalized, youthful appearance.